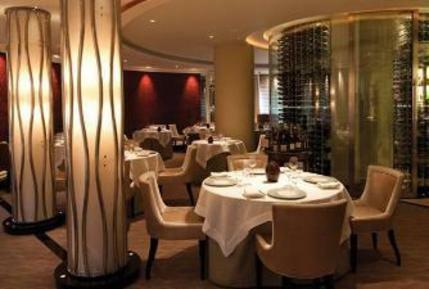 Petrus is another of Gordon Ramsay's London projects and perhaps one of the more controversial. When Ramsay opened this Mayfair establishment in 2010, attention was focused on the behind-the-scenes drama surrounding the opening. A restaurant of the same name was already being run by Ramsay and his protégé Marcus Wareing but after a severe falling out, the pair went their separate ways and the original Petrus became Marcus Wareing at The Berkeley. The new incarnation follows the tradition Ramsay template that has been so successful for him over the years: Michelin Star-friendly food in a modern, ambient setting. The French menu has been developed by Executive Chef Mark Askew and Head Chef Sean Burbidge to combine classic flavours with top-of-the-range presentation. On the menu are such tantalising treats as Pan-fried fillet of sea bream with chorizo and vine tomato sauce, Braised pork cheeks with romanesco, turnips and spiced Madeira jus and Roasted breast of poussin and leg stuffed with wild mushroom. Petrus gyms, sporting activities, health & beauty and fitness. The best pubs near London Petrus. Petrus clubs, bars, cabaret nights, casinos and interesting nightlife. Where to have your meeting, conference, exhibition, private dining or training course near Petrus. From cheap budget accommodation to luxury 5 star suites see our special offers for Petrus hotels, including Cheval Phoenix House Apartments from 72% off.